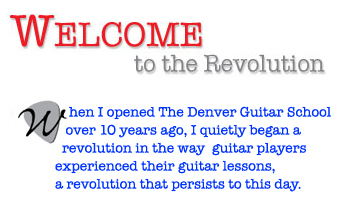 Over the past decade, the Denver Guitar School’s success has been fueled by an ever increasing number of guitar players who want a place where they can go to connect and be EDUCATED, ENCOURAGED, INSPIRED and MOTIVATED to pursue personal goals and passions. Whether you are an absolute beginner learning your first chord or looking to jumpstart your guitar playing, learn a new guitar style, polish up your technique and connect with like minded musicians, our experienced instructors at The Denver Guitar School will take you to the next level! 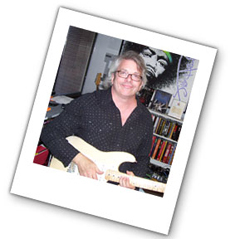 The Heart & Soul of The Denver Guitar School is to introduce and connect people with the power, the joy and the fun of playing the guitar. 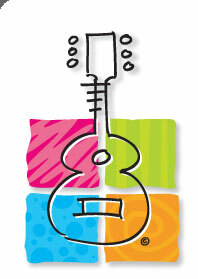 guitar and your gifts and talents. 7950 S. Lincoln St. / Suite 111-C | Littleton CO 80122 | ©2010 Denver Guitar School | All rights reserved.